Don Tipping takes you on a tour of Seven Seeds Farm in the Siskiyou Mountains of Southern Oregon, USA. The ingenious water systems is designed to 'feed' the landscape, while reducing erosion and landslide. The system attempts to hold as much water towards the top, which supplies water further downstream using various techniques such as keyline patterning. Don explains that this mimics the activities of beavers who strategically dam and redirect water flow. This is a superb example of permaculture in action and clearly outlines the benefits of intelligent systems to an intensive, living landscape. A great effort and a truly inspiring video! With increasing incidents of drought and flood around the world, keylining will become even more relevant in the future for developing sustainable agricultural systems and preventing soil erosion. Thanks so much for posting my video. 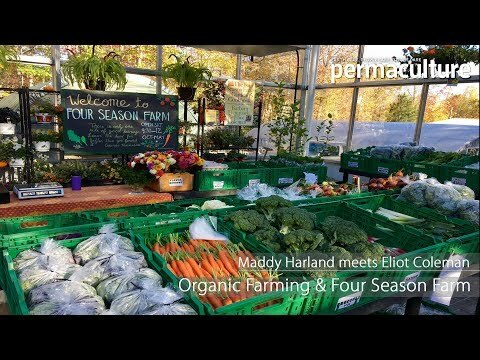 It is the fruit of much effort and I also made a companion video at the same time: Permaculture Keyline Water Systems: Tom Ward @ Wolf Gulch Farm. Thank you for making this video. We will be sure to promote both films - we understand how much time these projects take when done well.